Some people believe that Myrrh increases the power of incense to which it is added. 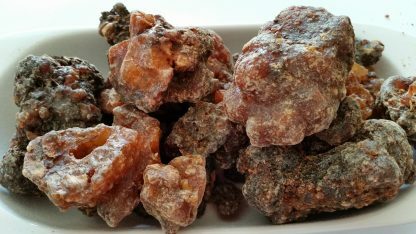 Myrrh gum from the border of Oman and Yemen, precious since ancient time. Together with gold and frankincense, offered by the three wise men to baby Jesus. 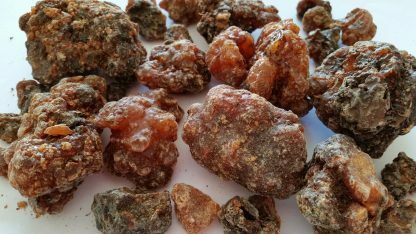 Yemeni Myrrh is also known as the sacred variety. 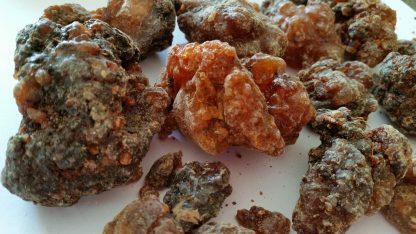 Burning myrrh gum as incense is cleansing and purifying. Myrrh is used in many culture’s traditional medicine. Until now, it is used widely in the pharmaceutical industry. 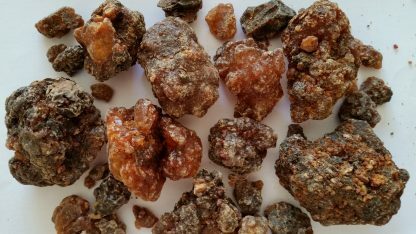 Known health benefits include: antiseptic, antifungal and anti-inflammatory, antidepressant, antimicrobial and antiviral, astringent, expectorant, stimulant, carminative, stomachic, anti catarrhal, diaphoretic, vulnerary, antispasmodic, immune booster, improves circulation, body tonic. Because of the unique climate condition, Myrrh from the border of Oman and Yemen is considered of superior quality. With charcoal: take a piece of charcoal, then light a corner. 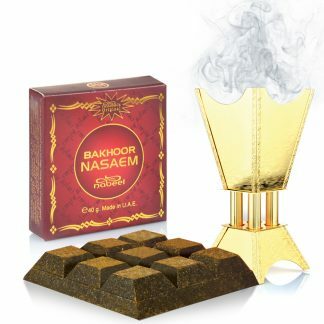 Put in a suitable incense burner, and wait for approximately 2 minutes (or until all the charcoal is heated thoroughly and evenly). Then put a piece, or a few pieces on top of hot coal. Sit back and enjoy as the aroma fills the room. If the aroma is too strong for you, you might want to try putting the myrrh pieces on a piece of alu foil. So, put the alu foil on top of hot charcoal, then put the myrrh piece(s) on top. 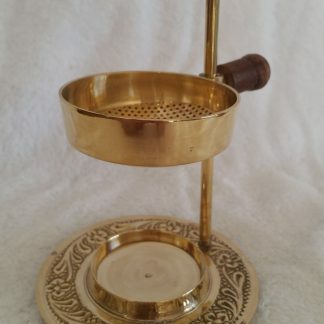 With electric burner/melts warmer/oil burner: put a few pieces of myrrh (or frankincense and myrrh) where you would put oil/melts. Turn the candle/electric burner on, and enjoy as the aroma fills the room.